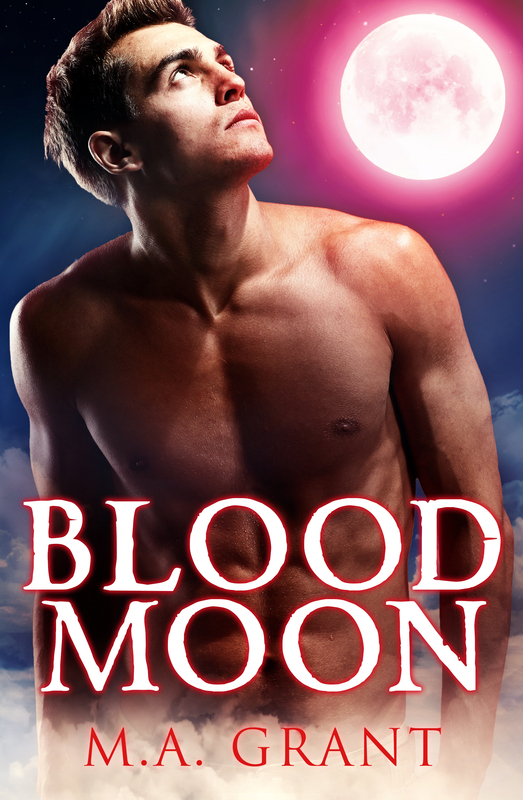 Connor Sinclair, the enigmatic hero of the hit novel BLOOD MOON has graciously granted me an interview. We met at a little cafe downtown. Once he ordered a beer and had a sip, we began. So, Connor, until recently you were pretty much an eligible bachelor. Want to tell us why? Connor flashes that charming grin and settles back in his seat, grasping his beer bottle lightly by the neck in one hand. The other hand taps out an erratic beat on his knee. Recently you’ve been missing from the dating scene. Is there a specific reason for this? The tapping stops and he takes a quick swig of his beer, buying time. “I’ve been living in Alaska for a while.” The cockiness returns. You’ve been seen in the company of a beautiful redhead. “Yeah. Dana. She’s my roommate.” He holds up his hands to stop the question that’s inevitable. You own one of the top resorts in Las Vegas and rumor has it you’re richer than God. You needed someone to ‘share’ the rent? “You ever visit Vegas, Kari? If you ever stop by, let me know. I’ll make sure you get a night on the town you’ll never forget at Infernus. On the house.” A dark eyebrow raises. “And while I’m not richer than God, I do enjoy the finer things in life.” When the question still hangs in the air, Connor grimaces a little. “And as for the rent, nooooo…” He glances around the room and heaves a sigh before leaning in. Some say it looks like love. He just holds himself back from slamming the beer bottle back down on the table. Still, it makes an ominous thud. What makes this woman so different from all the others? He’s glaring now. His tone is light, but there’s a tension under his words. “Well, for one thing, we aren’t screwing yet.” He waits to see if the statement is as shocking as he intended. Apparently not. He blinks once, realizing that he dropped that stupid word “yet.” He backpeddles, trying to cover his discomfort. “And we won’t. We’re just friends. We hang out and watch movies and talk and shhhh…tuff. It’s low key.” His words are so quiet it would be easy to miss his mumbled admission. What was her secret for finally snaring the beast? He rears back from the table and throws his hands up in protest. “Whoa, whoa, whoa! Who said she snared me? Me? There’s no snaring going on here. I don’t know where you’re getting your information, but that’s…” He tries for an amused chuckle, but it comes out rather choked. “That’s….crazy.” His last word is a little strangled and he reaches desperately for his beer, chugging down half the bottle. Though clearly uncomfortable, he flashes a smile. No, no, I think from all the information you gave us today we’ve got a pretty good picture of how things are with you. Thank you for taking the time from your busy schedule to meet with me. “Sure thing. A pleasure.” He lifts my hand and presses a kiss against my knuckles. Better still, check out where it all started in the first of the series, RED MOON showcasing Flynn Sinclair and where we first meet Connor. This entry was posted in Uncategorized and tagged Alaska, author, Blood Moon, interview, Las Vegas, MA Grant, paranormal, rogue, romance, shifter, werewolf. Bookmark the permalink. It sounds to me like Connor is a gonner (that’s bad I know!) and just doesn’t realize it yet. Yes, that was my impression too when we met. He is in extreme denial. Time will tell.